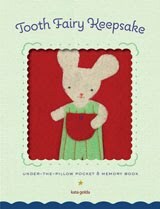 This is the second installment in a short series about the influence my garden has had on the new items I'm creating for my 2012-2013 catalog. 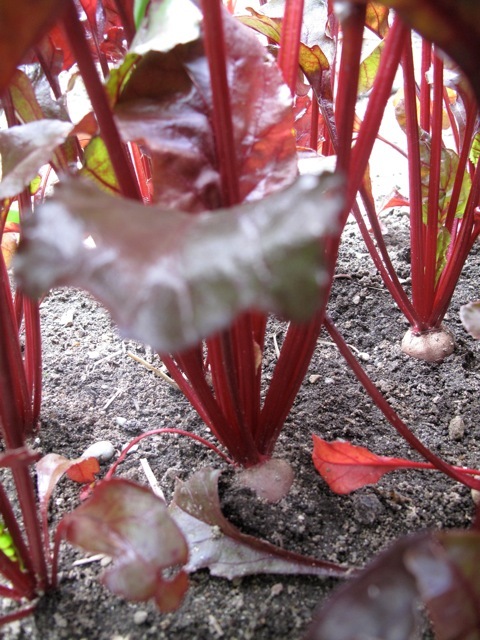 The first post was about pea pods; this week's is about beets. I volunteer each Thursday at a local farm, helping out in the garden where needed. Little kids always seem to enjoy picking radishes because they are often the first things ready in the garden. 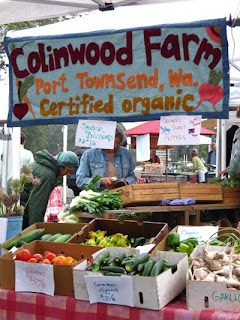 Later, as the garden grows, their preference shifts to carrots because they are not only familiar, but also so utterly amazing — all that color coming out from the dark, rich soil like a rabbit out of a hat. Between the two, I prefer to pick beets, and at home I get to pick them all. Now that my daughter is older, I have no competition! This year my beet greens are red, planted between the tall, green leafy foliage of the potatoes and the tall, thick, grass-like sticks of the onions — a placement that seems sort of perfect to me. Although it may seem like an odd source of inspiration, the beet has managed to find its way into my work time and time again. 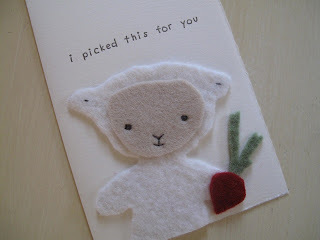 …and it currently appears in my card line, held by a sweet little lamb dressed in overalls. 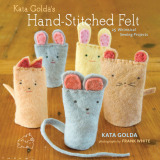 The current design for my "I picked this for you" card is available in the 2010-2011 Kata Golda collection. The lamb and beet, made from felt, are adorned with stitching and framed on a sheet of delicate rice paper mounted on a cotton card. The words are typed on the paper by hand using a vintage typewriter that has a unique typeface. 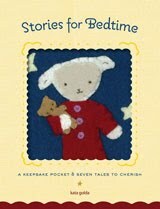 I've always been smitten by the facial expressions of goats and lambs, so this design will continue to live on in the 2012-2013 catalog, with a few updates. The message is the same, but instead of being typed, the words are letterpress printed directly onto the card. The letter forms were originally handwritten, inspired by the unusual typeface found on my trusty little red vintage typewriter. 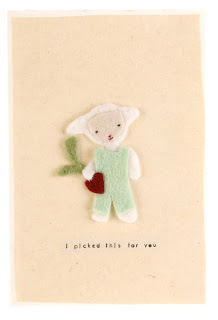 Updated for the 2012-2013 Kata Golda catalog, my new "I picked this for you" card combines letterpress printing with wool felt and hand-stitching. The card, made from cotton paper, measures about 5x7" and comes with a matching envelope. I encourage you to go out and pick something for yourself from the garden — whether it's at a local farm, your neighborhood pea patch, or your own backyard. Just make sure to ask first if you plan on picking it from someone else's garden! 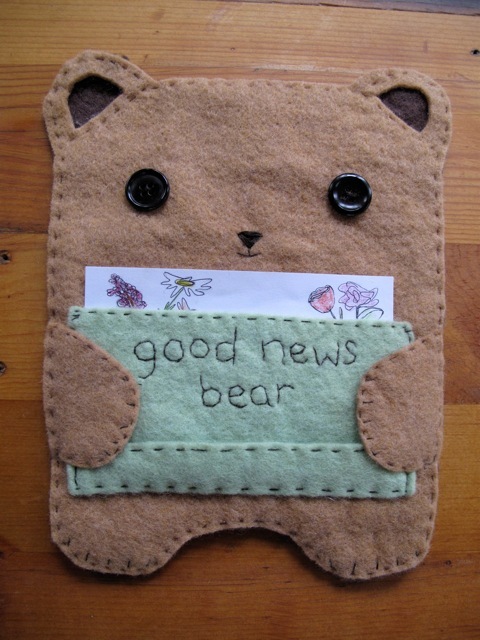 The Kata Golda Good News Bear DIY Kit contains the sewing pattern and materials needed to create your very own wool felt Good News Bear. This small wall hanging holds a collection of cards upon which kids, parents or teachers can write the "good news" they have to look forward to that day.